Pretty decent podcast, but they could really use some new VO actors. That one girl's voice has become so grating at this point. It's so distinctive and she's in every single episode as at least one character. Hi Unsolved Murders fans! If you love political intrigue, history, and clandestine operations, you're going to love our new podcast, ESPIONAGE. In this clip, Carter introduces the story of Julius and Ethel Rosenberg, American citizens who spied on behalf of the Soviet Union, giving them access to technology that would alter the balance of the Cold War. To hear the rest of this episode, subscribe to ESPIONAGE on Spotify, or wherever you listen to podcasts! Thank you for all of your support! In 1972, she was abducted one block away from her home in the Kensington area of Philadelphia. Dolores Della Penna’s body was found piece by piece, her limbs scattered just off the country roads near the city. 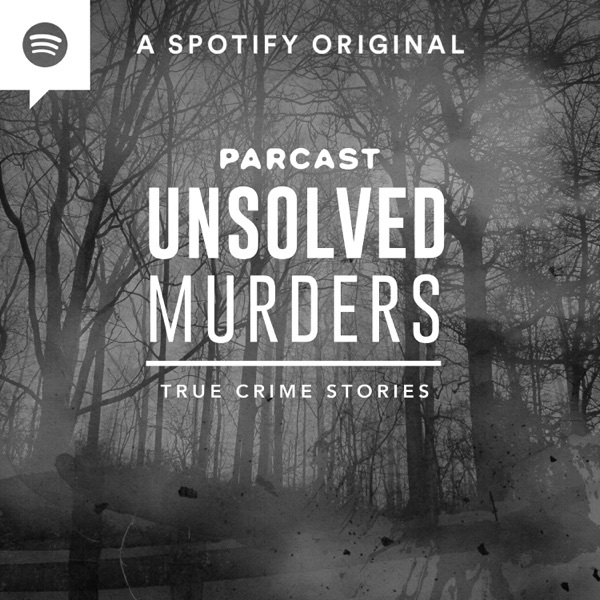 After years of persistent investigation, this cold case may now be heating up.<br><br>Sponsors!<br><br>BetterHelp - Unsolved Murders listeners get 10% off the first month with discount code UNSOLVED.&nbsp;<br><br>Proven Innocent - Proven Innocent Premieres Friday, February 15th at 9/8c, only on Fox.<br><br>ThirdLove - Go to ThirdLove.com/UNSOLVED to get 15% off your first purchase!<br><br><br>Upstart - Hurry to Upstart.com/UNSOLVED to find out how low your Upstart rate is! Checking your rate only takes 2 minutes—and won’t affect your credit! The famous clairvoyant, who was even Hitler’s personal psychic, made vast predictions in the 1920s before he was mysteriously murdered. The dismissive attitude shown towards Hanussen’s murder might have been because of the discovery that he was of Jewish descent. Hanussen never received a formal investigation, but the list of possible suspects is long. &nbsp;<br><br>Sponsors!&nbsp;<br><br>Care/of - Get 25% off your first month of personalized Care/of vitamins at TakeCareOf.com and enter promo code UNSOLVED.<br><br>Living Proof - Go to LivingProof.com/UNSOLVED and use promo code UNSOLVED to get a free sample of their award-winning dry shampoo with your purchase. The Clairvoyant who rose to fame and fortune in 1920’s Berlin, and was even close with Hitler, is found in the middle of the woods riddled with bullets and scavenged by wild animals. Erik Jan Hanussen was last seen being driven off by members of the Sturmabteilung, the Nazi party’s paramilitary organization.&nbsp;<br><br>Sponsors!<br><br>Caffé Monster - Now available in Mocha, Vanilla, and Salted Caramel. Caffé Monster: Chill it down, Shake it up, Enjoy!<br><br>FabFitFun - Go to FabFitFun.com to sign-up and use promo code UNSOLVED to get $10 off your first box.<br><br>SimpliSafe - Visit SimpliSafe.com/UNSOLVED.<br><br>Third Love - Go to ThirdLove.com/UNSOLVED now to find your perfect-fitting bra and get 15% off your first purchase! Who is responsible for killing one of the most powerful kingpins in New York City? The Unsolved Murders and Kingpins crossover special from Parcast examines Rothstein’s mafia ties and gambling scams. One of these scams would go on to be the 1919’s World Series. &nbsp;<br><br><br>Sponsors!<br><br><br>Amazon Prime - Season 1 is available now. Watch the New Season of Lore out now, only on Prime Video.<br><br><br>Caffé Monster - Available in Mocha, Vanilla, and Salted Caramel. Chill it down, Shake it up, Enjoy! How did one of New York’s most notorious gamblers lose his final hand? This Kingpin's rise to power in the mob scene is just as intense as his fall. To help us solve the case, we enlisted the hosts of Parcast's other Podcast Kingpins for some expert advice!&nbsp;<br><br>We're excited to present this special crossover episode with hosts of KINGPINS (a Parcast Podcast). If you are interested in other Kingpin or Queenpin stories search KINGPINS where ever you listen to podcasts and subscribe!<br><br><br>Sponsors!<br><br><br>Amazon Prime - Season 1 is available now. Watch the New Season of Lore out now, only on Prime Video.<br><br><br>Pretty Litter - Go to PrettyLitter.com and use promo code UNSOLVED for 20% off your first order.<br><br><br>Upstart - Hurry to Upstart.com/UNSOLVED to find out how low your Upstart rate is! Actor David Bacon was driving erratically down the road looking for help, a knife was plunged into his back and pierced his lung. He didn’t have long. He crashes into the curb and climbs out of the car as onlookers approach. Before he is able to tell them what happened… he dies.<br><br><br>Subscribe now to our new podcast HOSTAGE, featuring the riveting story of Patty Hearst's abduction by the Symbionese Liberation Army.<br><br><br>Sponsors!<br><br>Amazon Prime - Season 1 is available now. Watch the New Season of Lore October 19, only on Prime Video.<br><br>Caffé Monster - Available in Vanilla, Mocha, and Salted Caramel. Chill it down, Shake it up, Enjoy!<br><br>FabFitFun - Go to FabFitFun.com and use code UNSOLVED to get $10 off your first FabFitFun box!<br><br>Living Proof - Visit LivingProof.com/UNSOLVED and use promo code UNSOLVED to get a free sample of their award-winning dry shampoo with your purchase.<br><br>Third Love - Go to ThirdLove.com/UNSOLVED now to find your perfect-fitting bra and get 15% off your first purchase!